Theatres and entertainment centres in HCM City will offer new shows this weekend on the occasion of International Children’s Day (June 1). Female theatre director Trinh Kim Chi and her staff of TKC, a private drama troupe, will restage one of their popular plays, Lo Lem Truyen Ky (Cinderella’s Story), as a musical. Directed by Chi, the play is about Lo Lem and magical adventures and obstacles she encounters in life. 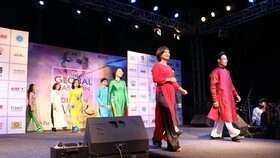 The show features Vietnamese and foreign songs and dances. “We spent a lot of time preparing the beautiful clothes and accessories and creating the decor suited to the play’s theme. Sound and light effects attract young audiences,” said Chi. The free debut performance will take place in front of more than 400 disadvantaged children who live in open houses in rural districts on International Children’s Day, June 1. "“I wanted to create a world built from both traditional and modern styles. My actors and I have worked under a lot of pressure so that we can produce a musical play for children,” said 43-year-old Chi, owner of TKC. “This year I used young talents such as Duyen Nhi and Huyen My, who are skilled in music, dance, pantomime and circus, to play leading roles,” she said. 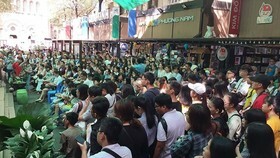 Last season, Lo Lem Truyen Ky was so popular that ticket buyers had to stand in long lines at the box office. The play will be staged for five nights at TKC Stage, 259 Hau Giang street, in District 6. The first show will begin at 7:30pm on June 1. In other performances, two prestigious art troupes for children, IDECAF Drama Troupe and Hong Van Drama Troupe, will stage new plays for children aged three to 15. IDECAF’s new show, Alibaba và 40 Ten Cuop (Ali Baba and Forty Thieves), is about the story of Alibaba, a poor woodcutter. 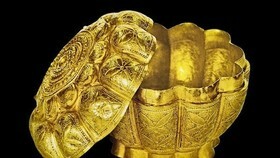 Alibaba says “open sesame” to open a cave of treasure owned by 40 thieves, who try to kill Alibaba. But he uses his intelligence to kill them. The play is based on Ali Baba and the Forty Thieves from the popular collection One Thousand and One Nights from the 18th century. “This Vietnamese version highlights bravery, self-respect, honesty, and friendship. It also brings messages to encourage young people to work together to fight against bad things,” said the play’s director Minh. Minh invited 40 actors, including veteran comedians Thanh Loc and Huu Chau, to play the thieves. 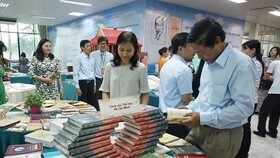 Alibaba và 40 Ten Cuop had its debut on May 26 and attracted more than 500 children and their parents. The show will be staged at 7pm on June 1 at 27 Le Thanh Ton street in District 1. A variety show, staged by young staff at Hong Van Drama Troupe, highlights love and friendship. The special event includes performances that combine circus and puppetry as well as music and dance. The show opened last weekend and will be staged on June 1 and 2. 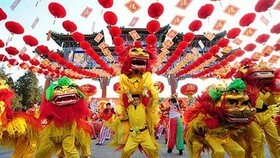 District 9’s Dam Sen Tourist Park offers a music gala called Mua He Cho Em (Happy Summer for You) staged by young singers, dancers and puppeteers from traditional art troupes. The event, which will begin at 7pm on June 1, will be performed every weekend until mid-July. The Labour Cultural Palace in District 1 will offer a cultural programme, Ngay Hoi Tre Em Khuyet Tat (Festival Day for Disabled Children), featuring music, dance, pantomime and circus tricks. 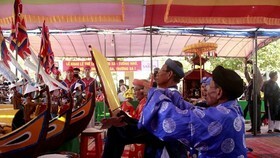 Many games, exhibitions, paintings and sport competitions will also be featured. More than 800 children from 20 schools and centres for disabled children in An Giang, Long An, Dong Nai and Ba Ria-Vung Tau provinces will be invited to join the event. 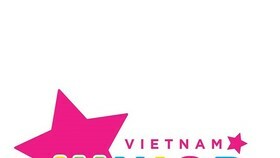 The kids will receive free toys and candy worth 200,000 VND (8 USD) donated by local organisations. Another event is Ngay Hoi Tuoi Tho (Children’s Festival Day) attracting young singers and music players of the palace’s art clubs. It will be free to poor children. Meanwhile, cultural houses for children are launching contests in cooking, painting, story-telling, singing and dancing. Topics on peace and love will be highlighted.